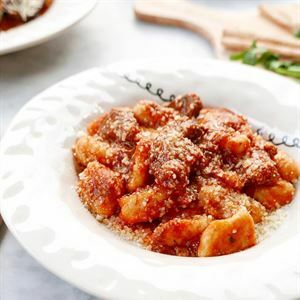 Gnocchi Ragu: slow cooked beef in red sauce (gluten-free available). 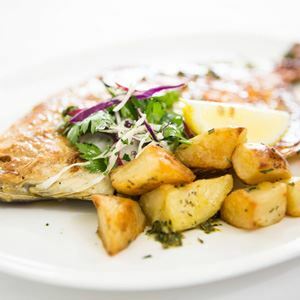 Share the simplicity of a traditional Italian family table at Ms Frankie on Cremorne Street in Cremorne. 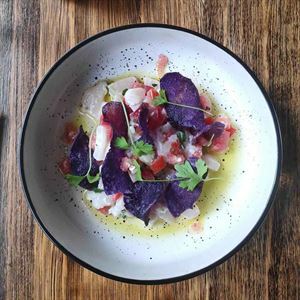 Serving food just like Nonna makes, this trendy and spacious restaurant has an industrial feel with polished concrete and spotlights creating a chilled-out vibe, while a lane-way alfresco area beckons with eclectic wall murals and black wire furniture. Lucky guests can catch a glimpse of the pasta maker in action at bar seats in front of the kitchen, while pondering an authentic menu with starters like Sicilian arancini with pumpkin and pecorino. Twirl a fork around house specialties such as spaghetti alla chitarra alla marinara with clams, mussels, prawns and kingfish, or perhaps gnocchi porcini with truffle oil; before a divine dessert of blood orange and salted caramel panna cotta. Best Pasta Bar in Melbourne!! 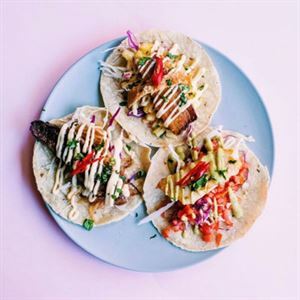 I had been to Ms Frankie a couple of times last year and was impressed with the fit out and quality of the food, drink and customer service. I returned again this year and things had been taken up yet another notch. I still love the classic pastas on the menu but there is always a new special dish to try. Don't get me wrong it's all about the pasta but I have to acknowledge that the drinks are amazing! We had a large group, mixture of drinkers and non-drinkers and there was something yummy and exotic for everyone to enjoy! The home-made bread deserves a special mention also, delicious! We all left feeling very content after devouring a sharing board, pasta and a selection of the heavenly desserts. We were very well looked after. Ms Frankie is a must! Looking forward to returning many more times and working my way through the menu.